~Eternal Snow~: Cosfest VII, 2008 Coverage Part 2 - Outdoor Photos. 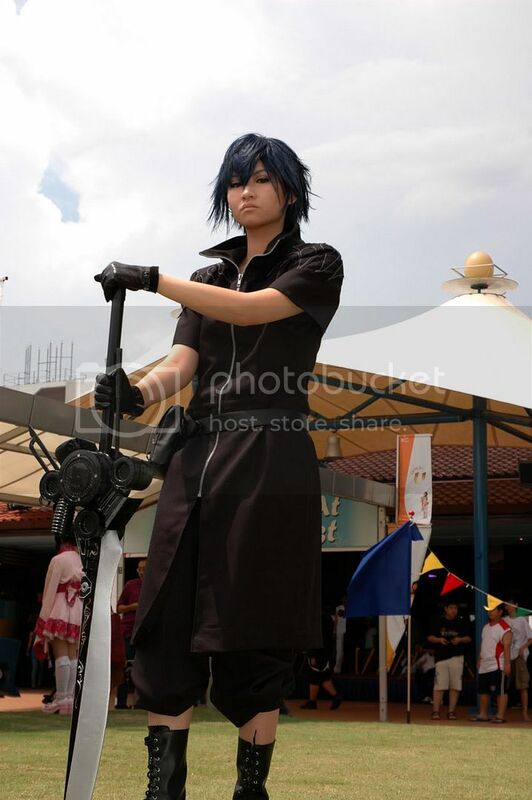 Cosfest VII, 2008 Coverage Part 2 - Outdoor Photos. Camera used: Nikon D70 with Kit Lens; Settings: ISO 200, Shutter speed 1/250 - 1/400, F4.5-7.1. 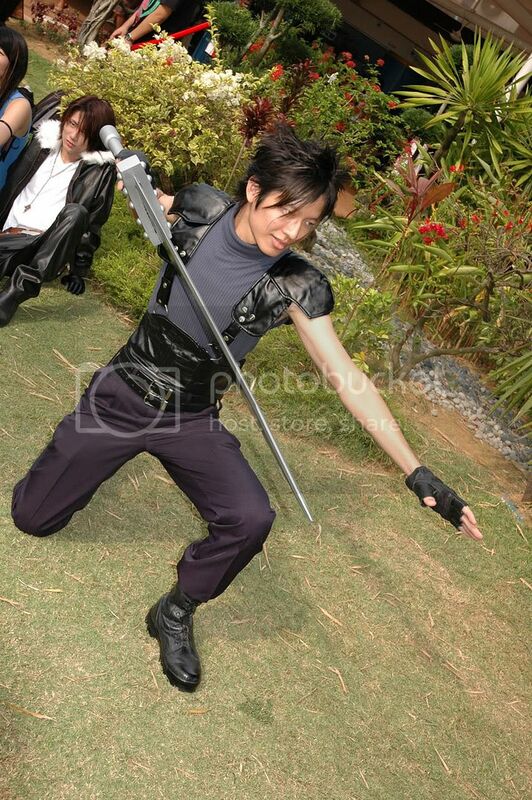 Note to cosplayers: If you wish for me to take down any photos of you, feel free to comment/email me to do so. 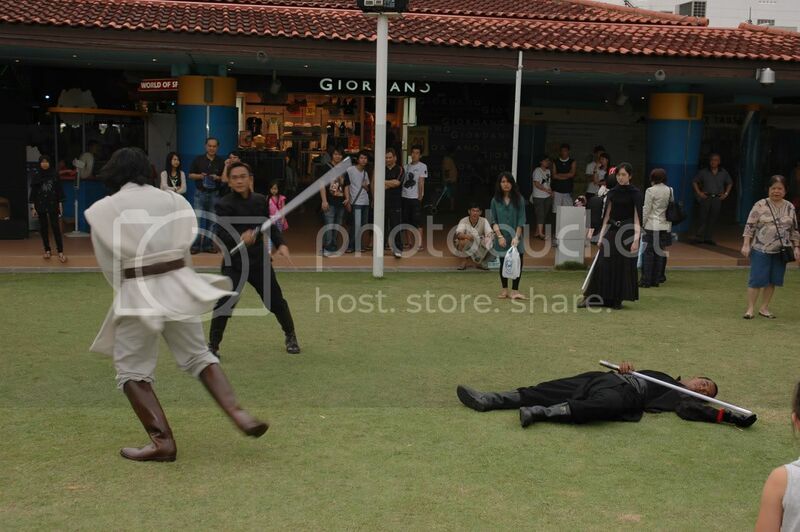 And if you do want the unedited version of the photo, contact me too and I'll be glad to send them to you ^^. Contact's at the sidebar under "About Me". What better way to start a post besides a very cute cosplayer. 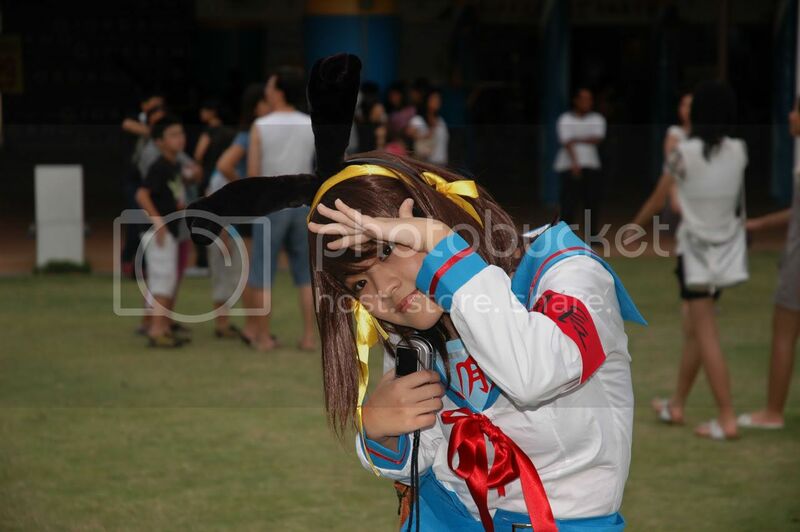 As mentioned, you'll be seeing alot more of this Haruhi ^^. I think I'll need to visit the blood bank to top up on blood after this posting. Moe~ Overdose!! 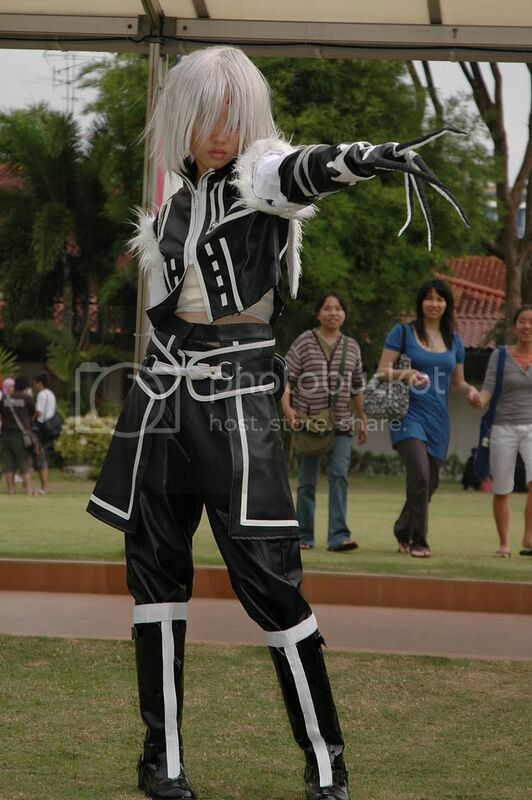 Character from FFXIII. No name revealed as of now. LOL. 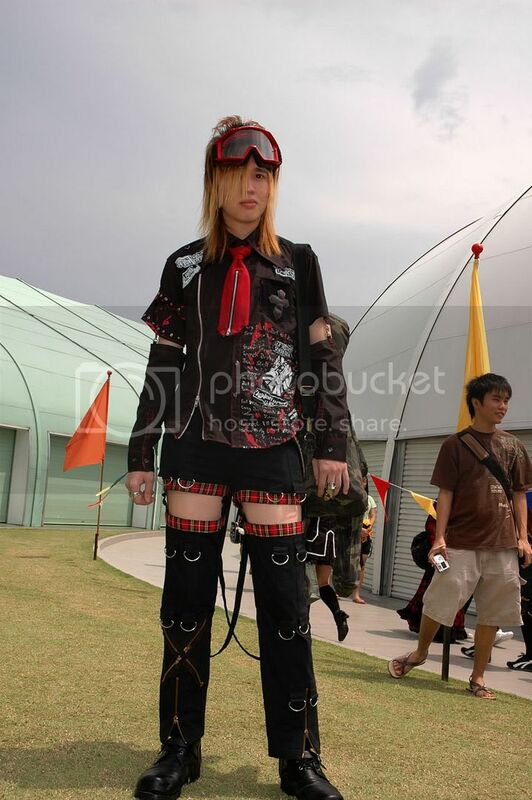 Yes I know he wasn't a cosplayer, but as people were asking to take his photos, I can't help it but just join in the fun :D And if you don't recognise him, he's Squee, part of Team Blue too, our resident Visual Kei "cosplaying" as himself ^^. More delicious Haruhi. *Nosebleeds more* All hail Haruhism! 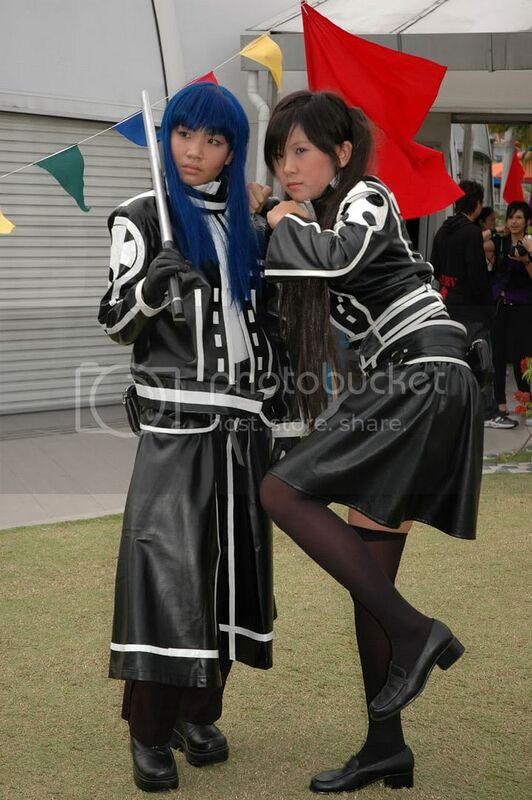 Kanda and Lenalee from D.Gray-man too. Just dressing up for the event. 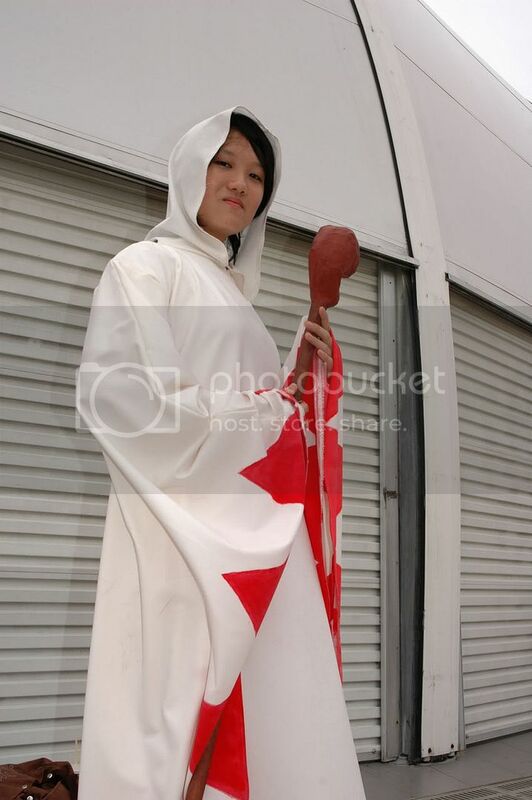 The costume is sweet ^^. 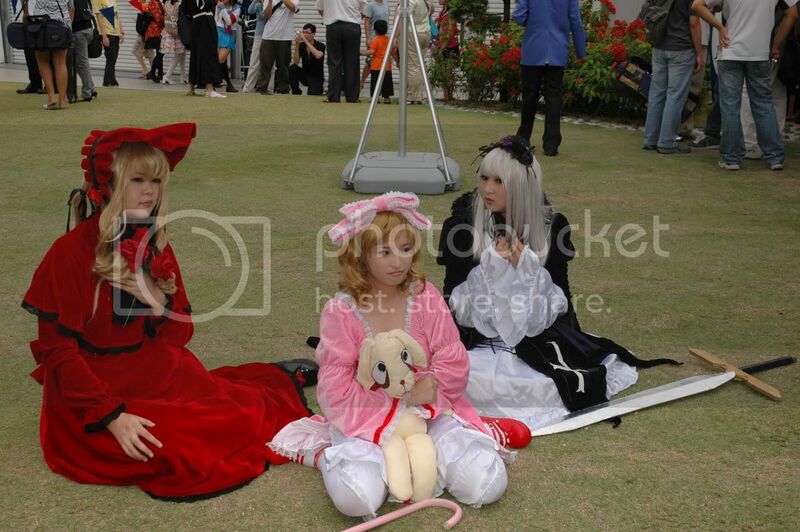 Shinku, Hina Ichigo and Suigintou of Rozen Maiden fame. Scythe welding Angel of Darkness/Death. 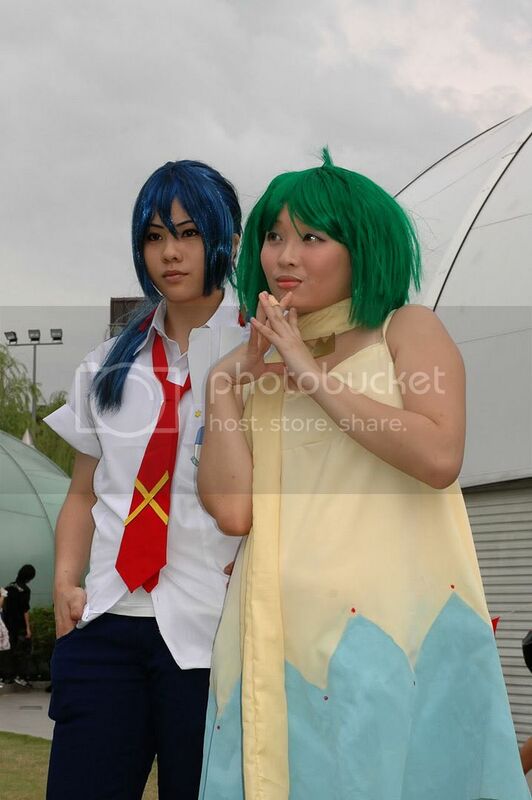 Alto and Ranka from Macross Frontier. Never did watched the show, but might start. Is it worth the time to watch even if I didn't catch any previous Macross series before? Moe~!!!! Blood pressure is rising!! 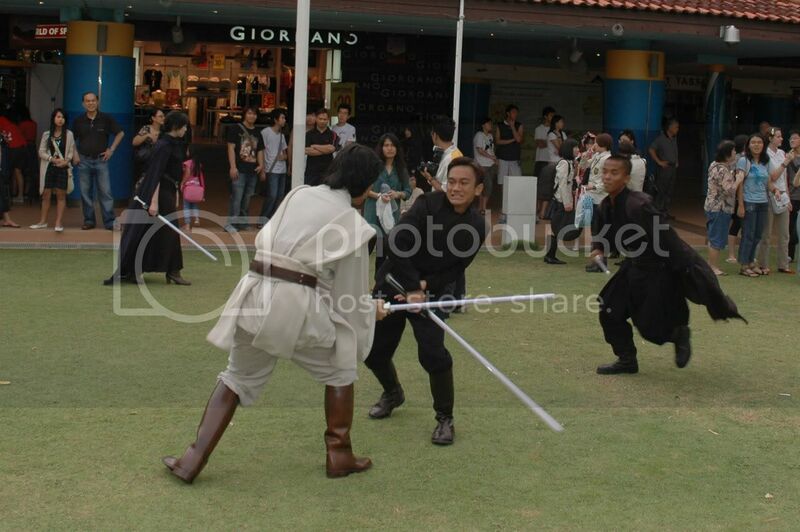 Suddenly, a fight broke out between some Siths and a Jedi in order to capture the rights to the cho-kawaii Haruhi . 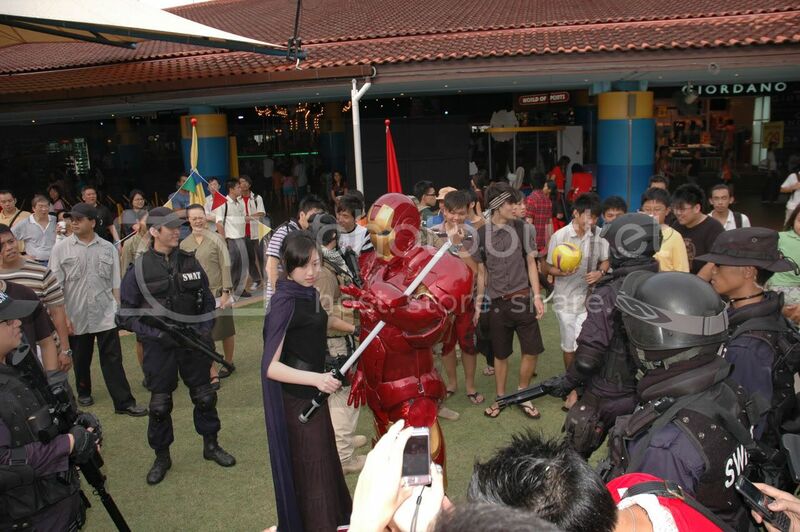 Awesome costume. Anakim from Lineage 2 (Thanks to Garion for the ID-ing). Her backpack kept falling off. Akai Kaze / Red Whirlwind from Romeo x Juliet. The wind was her strongest enemy for the day, as it blew her hat off when I was trying to take a photo of her before lol. Cheers for Fariz to bringing her Iris flower back to her. White Mage from Nuklear Power, a fantastic webcomic that I have been following for a very very long time. Great hilarious stuff (Sword-chucks ftw!). Where's Black Mage anyway? 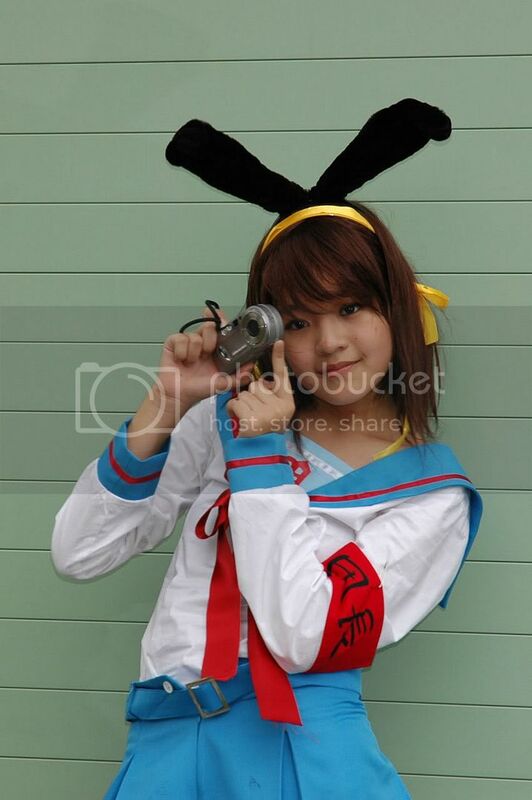 Moar Haruhi Love!! Whenever I walked past her and if she's posing, I can't help but just take a few more photos of her over and over again. No I'm not a stalker! 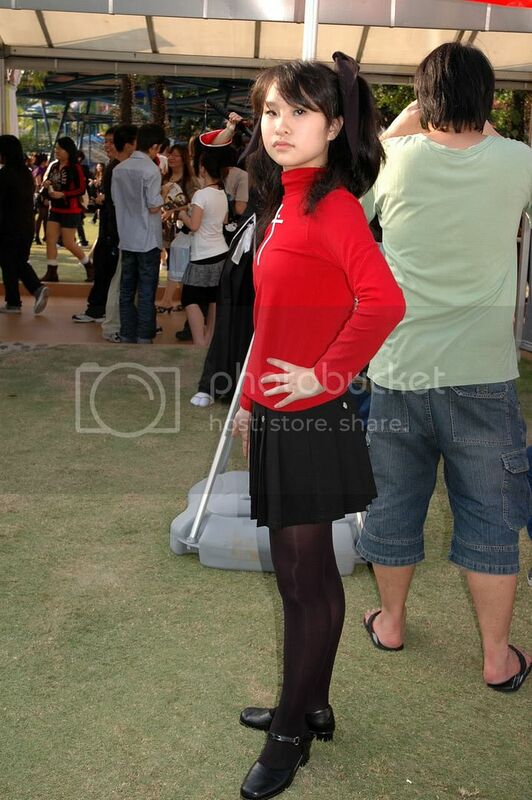 Another cute photo of Ayu. Damn I'm so enticed by her smile. uguu~ power! 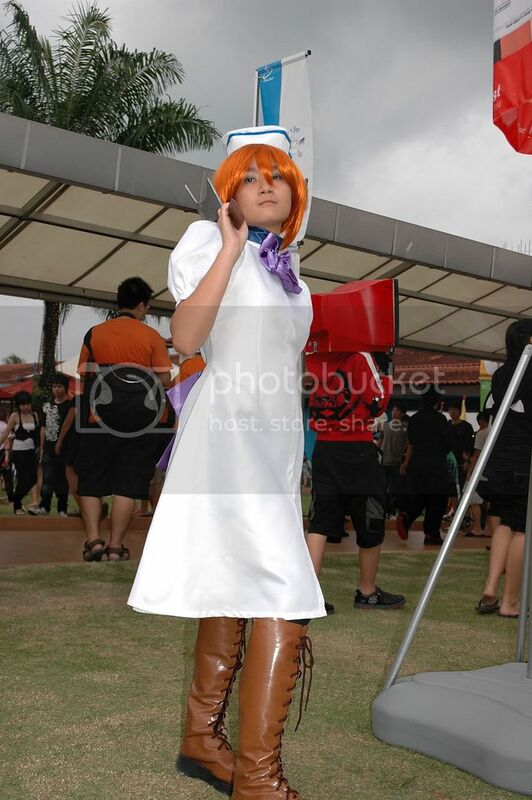 Rena from Higurashi. Feeling the Yandere vibes yet? 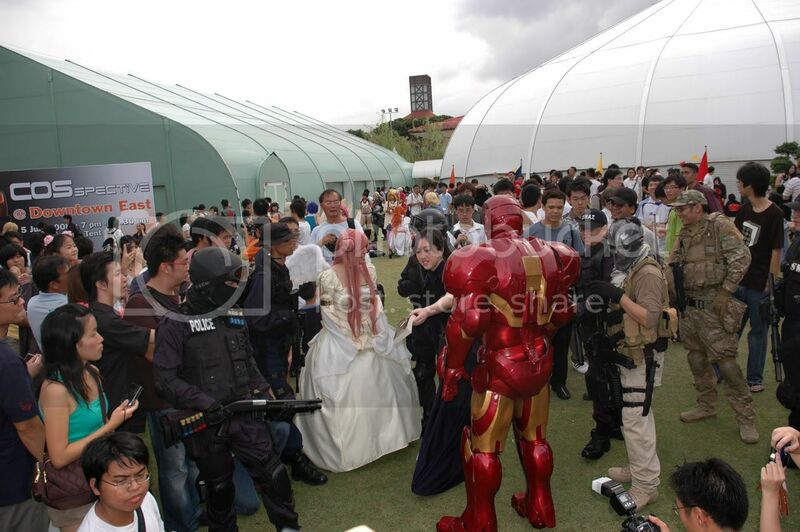 Looks like Tony Stark paid a visit to the event too, even including his personal S.W.A.T bodyguards who were preventing the rowdy mob crowd from getting too close to their metal boss. But nevertheless, he was quite the skirt-chaser, telling his bodyguards to allow girls to walk right up to him for some personal photos. lol. Zack facing off with Rikku(needs a confirmation on this) from FFX2. Another shot of them both. Names of characters are Ike and Mist, ID-ed thanks to DBlade via Panther. Inphyy and Tyurru(?) from Ninety-Nine Nights (N3). 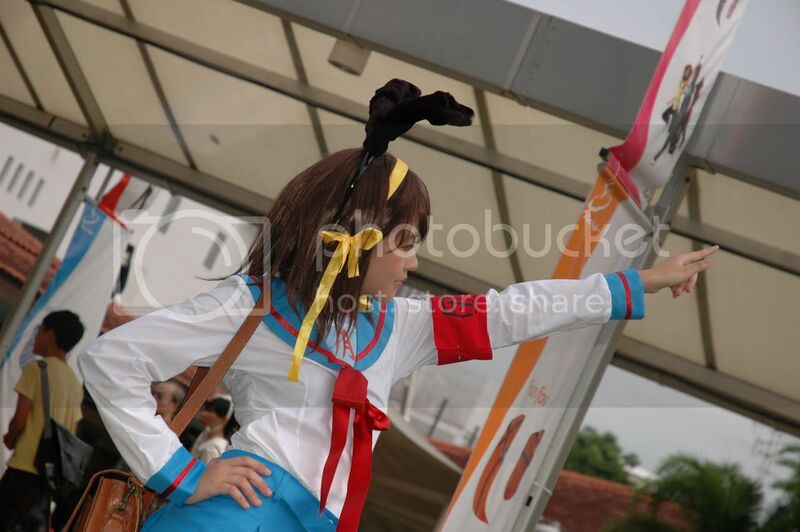 Haruhi pwned Yuki. And I wonder why my only shots of the 1/1 scale Wonfes Exclusive Yuki has her getting stabbed LOL. Spotted this Tosaka Rin from Fate/Stay Night as I was about to leave with the rest of Team Blue for dinner. Seriously, someone needs to do a Rin in Mahou Shoujo form!! Anyway, I took a quick shot of her and that's it for the day. 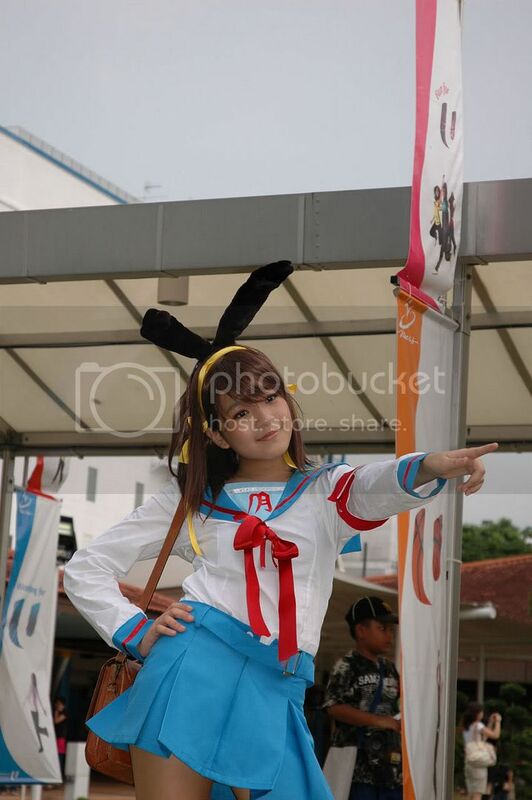 That's all my coverage for Day 2 of Cosfest. I didn't attend Day 1 as I was lazy to travel about 1hr 15mins to the event site. It's quite a number of photos to go through, but it was already based on strict selections before I decide to upload them, so hope everyone wouldn't mind. There was also a trap Konata running around the event too, but I didn't get a shot of him though. Anyway, hope you had enjoyed the coverage, and I'm out. 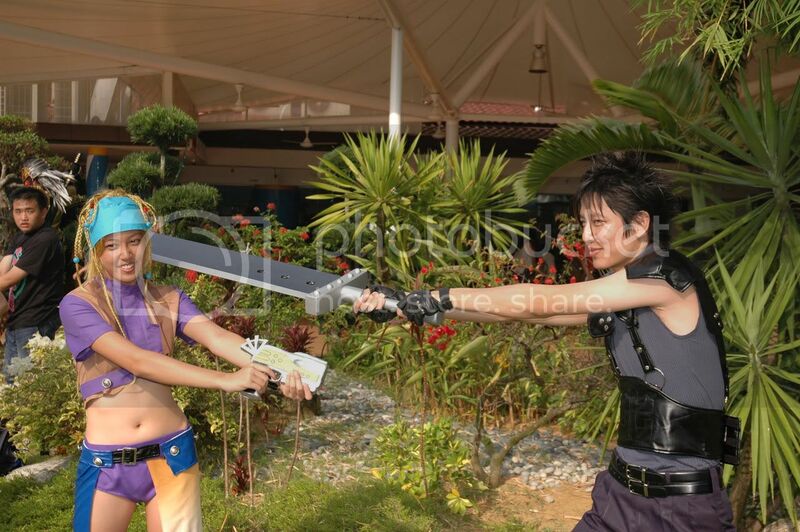 As per usual, refer to Team Blue's Cosfest post for more coverage from fellow bloggers around the Sunny Island. FF12 Fran is right. 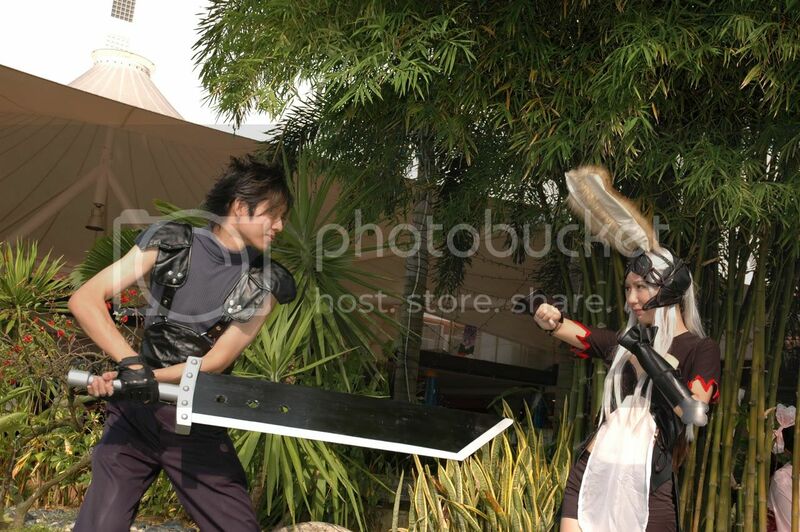 Also Zack was facing off against Rikku from FFX2 I think, though the costume is a little off. 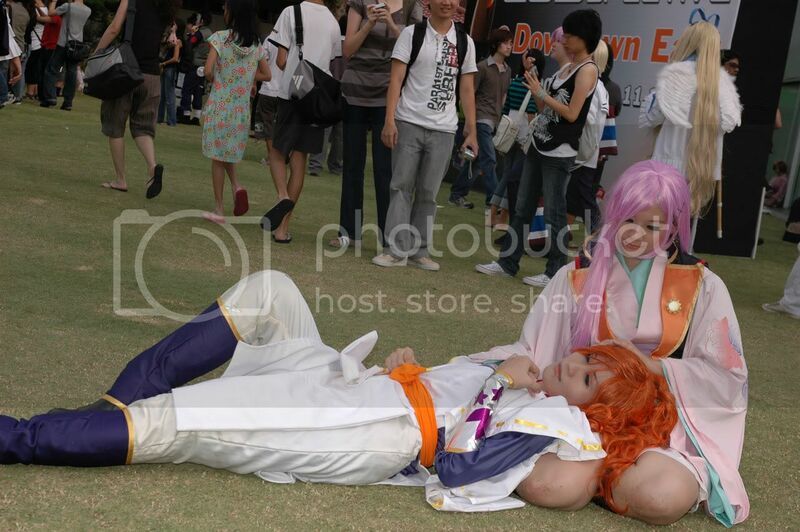 The pink girl in some Japanese costume with a fan is not cosplaying I believe, just dressing up for the occasion. 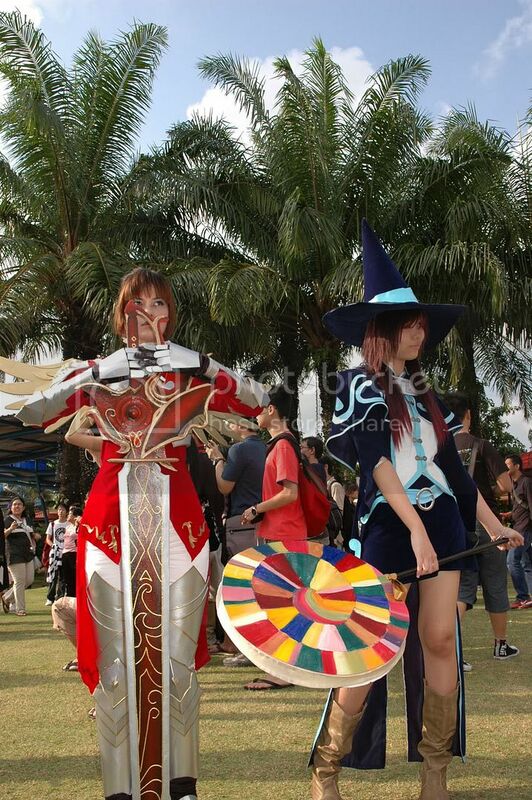 She was the Lenalee that took second prize at TCC. 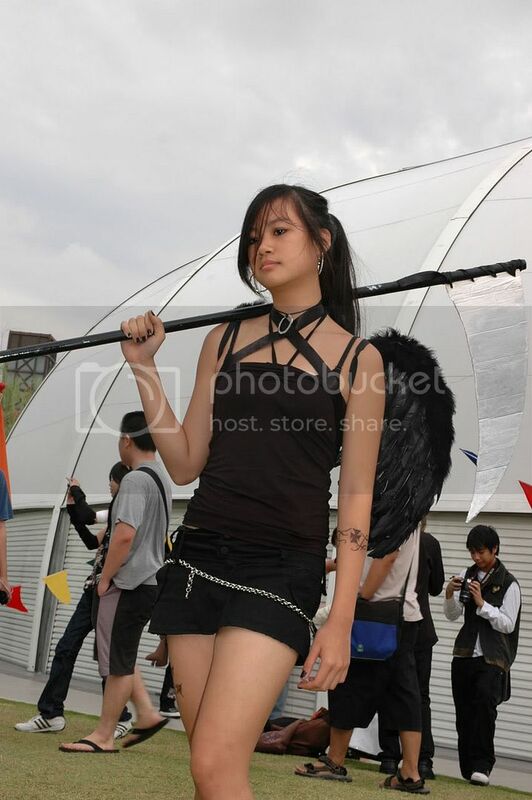 Black scythe-wielding angel has been identified by her, herself, as the Angel of Darkness/Death. 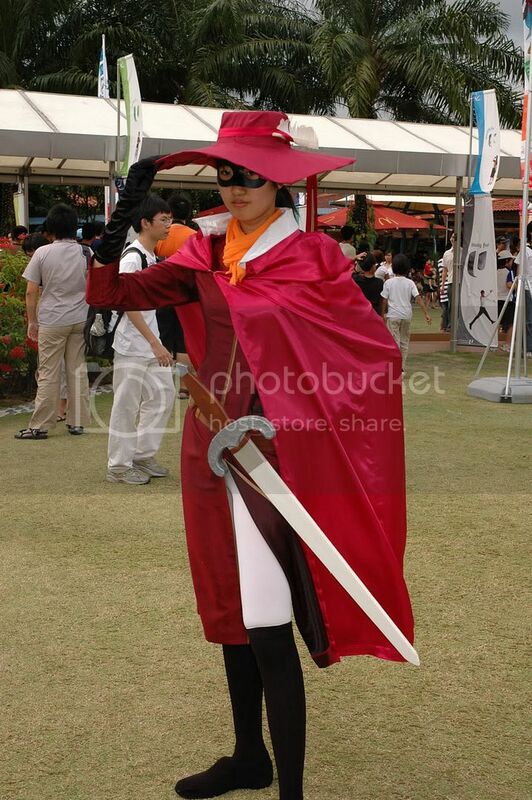 Not a usual character I hear, probably just dressing up, not sure what series either if there is even one. panther: once again thanks for more ID-ing, and updated accordingly. 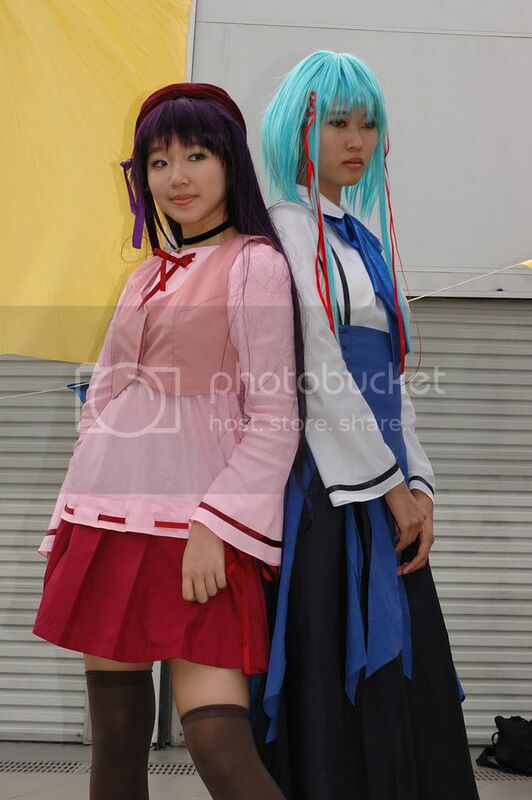 fariz: no Miku is sad. I got my vocaloid mp3s to comfort me though. 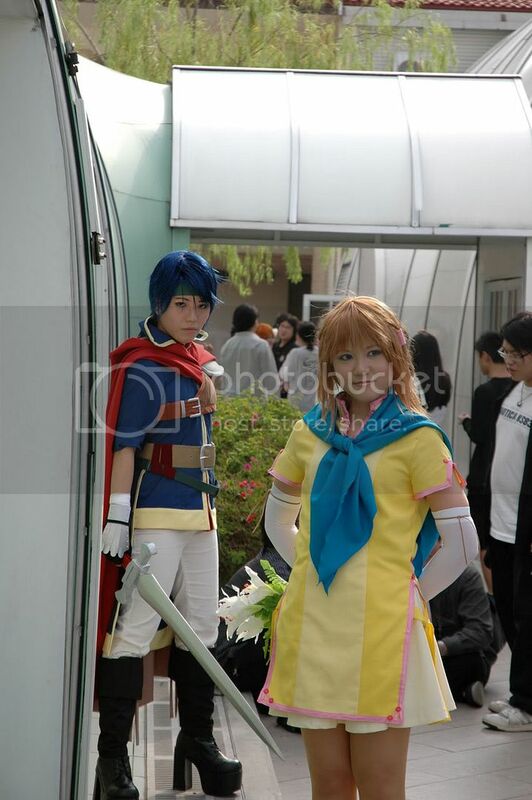 The two cosplayers who were Sakura/Syraoran from STCC last week are cosplaying characters from a game called Fire Emblem. The one in blue is called Ike I believe, not sure who the other one is. 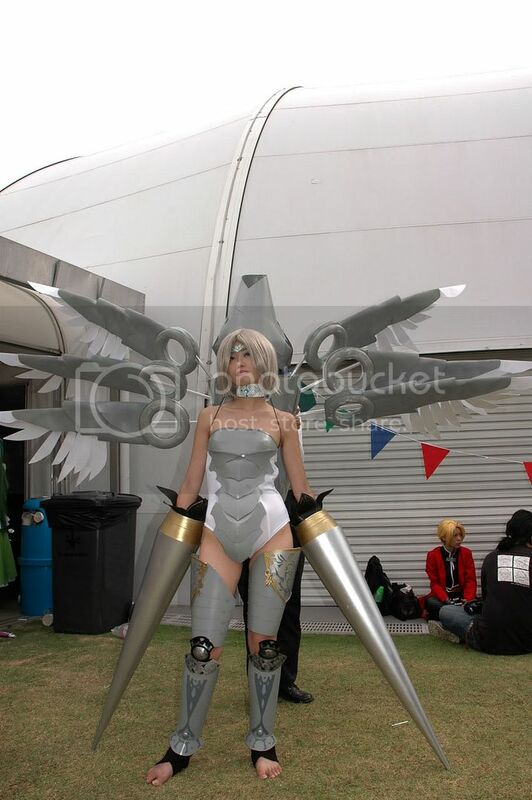 The girl with giant wings and spike for hands is cosplaying a chara called Anakim from Lineage 2. Not sure if u saw them, there were two guitar wielding Kagamine Len Vocaloids, one on each day, Sat was cosplayed by a female and Sun by a male. 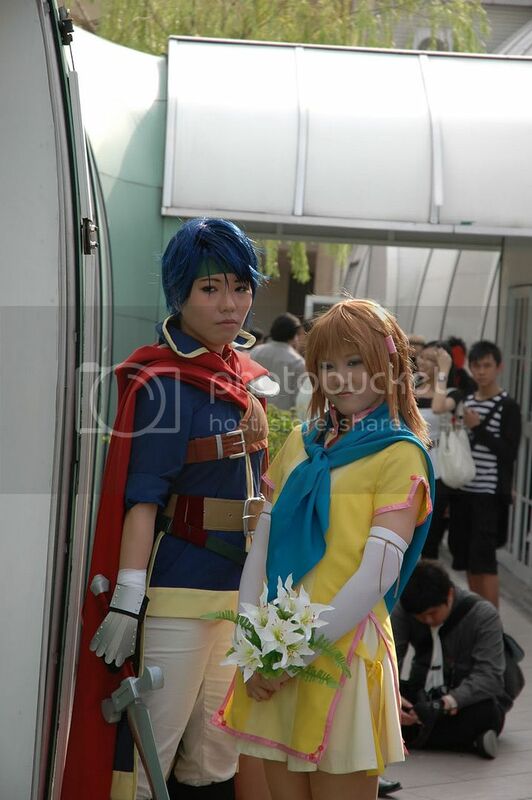 btw macross frontier is great. u need not watch the previous series to understand the show. lots of nice songs. anonymous coward: me too! Call the bloodbank quick! gordon: lol have to ask him first then! And I guess I'll give Macross F a try ^^. Ah, this is the first time in my whole life having nosebleeds. Hmm, that's strange. 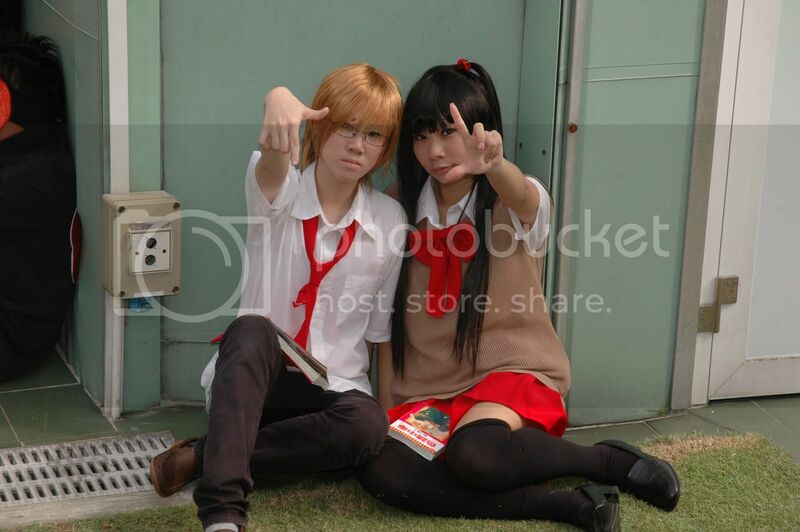 I missed the Tousaka Rin and Kagamine Ren cosplayer completely. 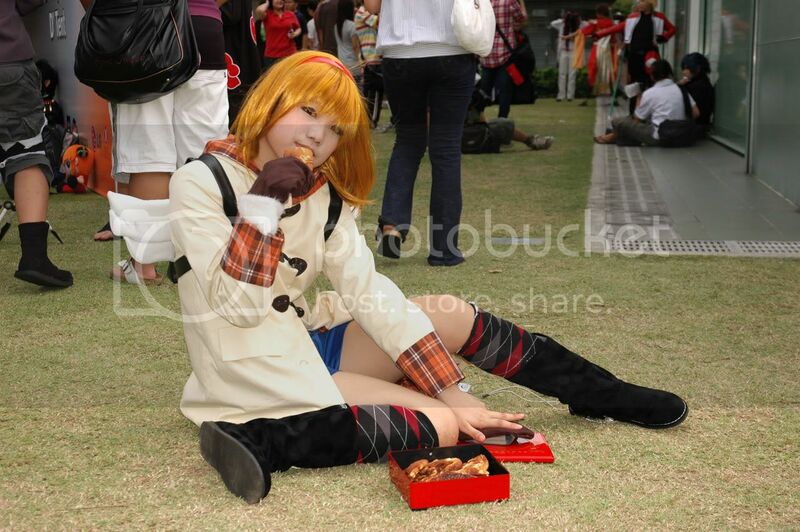 Though I did spot a Kagamine Rin cosplayer. Gordon> LOL We should make a mascot out of our planned Trap cosplays. heavenwargod: So do I too!!! 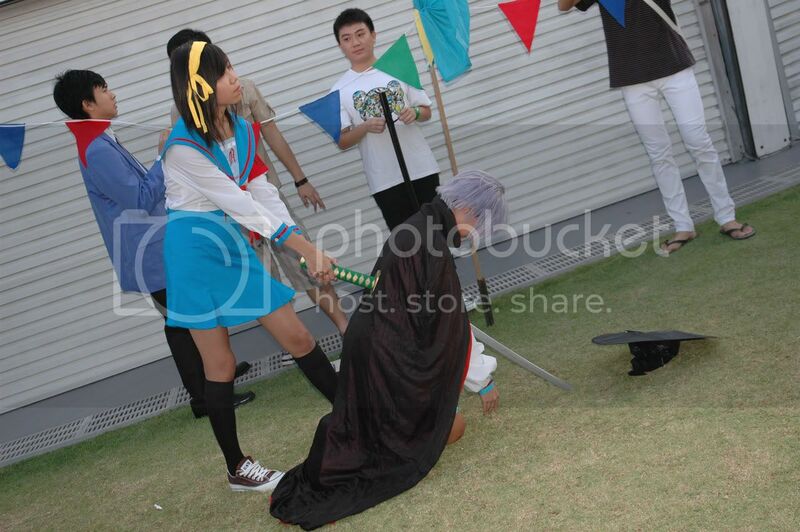 And there was a Kagamine Rin cosplayer? Never did noticed. squee: lol @ Trap mascot. And because you're so easy to spot, why not make full use of it and use you as a meeting place? It's all about efficiency lol. It might had been a blessing in disguise you didn't see her, as your GF might had killed you :D And it was still quite hot that day too... I was getting headaches from running inside and outside (cold hot cold) all the time. Fire Emblem recognized by DBlade as Ike and Mist. Also, I hate all you DSLR people, because I do not have one. 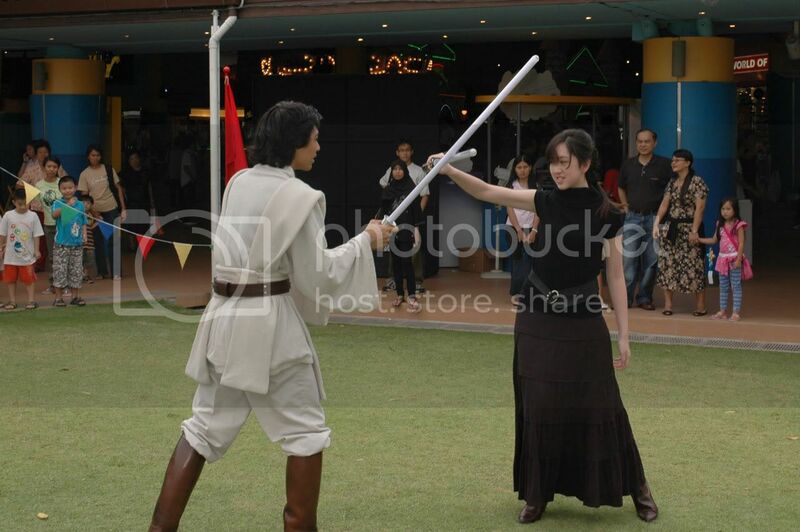 Think I will leave the rest of my pictures over in Photobucket when I have more time to upload them. Should not have gone trigger happy during the event. panther: thanks again. updated accordingly ^^. C.I: you have way too much WAIFU, even muslims can only have 4, you have like what... 20? And DSLR are heavy to carry around though, PnS are light and small. But I'll still stick to my D70 hehe ^^. Even though you went trigger happy, it's not like you have to post all the picture... just sort through and select the good ones, unless you have way toooooooo many good ones lol.